"Would highly recommend this office, everyone...was helpful and professional." "I couldn't ask for a better doctor and nurses and the staff that works there." "Professional, yet personal! They are always attentive and respond promptly." "I was very pleased with the treatment and the outcome. Recommend them highly." Augusta Foot & Ankle, PC opened its doors in Evans, Georgia in 2001. Under the direction of Mickey Stapp, DPM, it has grown into the premier podiatry practice of the CSRA, with four physicians specializing in all aspects of foot and ankle care. At Augusta Foot and Ankle, patients can expect the most current, up-to-date technologies, procedures, and surgical techniques. This advanced care is provided by professional and caring physicians committed to their patients’ overall health. The medical professionals at Augusta Foot and Ankle pride themselves on providing personalized care for each of their patients. The doctors take the time to explain medical conditions in terms that are easy to understand. And when treatment is needed, they carefully review each option with patients and make decisions together. The team firmly believes that patients should play a role in their care. Founded on the ideals of compassionate, confidential, and timely service, Augusta Foot and Ankle works to accommodate patient schedules and ensure that they can see doctors promptly. The team at Augusta Foot and Ankle is currently accepting new patients. Call for more information or schedule an appointment online today. 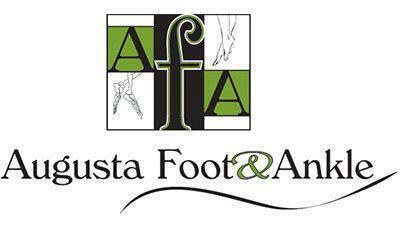 Learn More About Augusta Foot & Ankle's Affiliations! The following are the in-network insurances we accept. For additional insurance information, please contact the office. "Just want to let the public know how pleased I have been with Augusta Foot and Ankle, P.C. located in Evans." "Great doctors!! Makes you feel at ease and helped me after two other treatments elsewhere failed!! Very glad I went and saw them! Office staff is great!! "They were very helpful and friendly. They went into detail about my prognosis and how to help prolong surgery and maybe even avoid it altogether." "The staff is very kind plus and the doctors helped my daughters foot so she could start playing soccer again. You are seen right away with no lengthy wait time."